Woven throughout the parish of St. Francisville in South Louisiana are picturesque bayous and rivers that made the surrounding land idyllic for constructing plantations and other grand homes in the early nineteenth century. 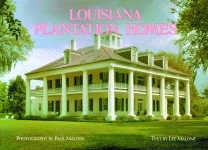 Presented here in spectacular color photographs are more than 160 images of quaint cottages and elegant plantations of St. Francisville and its environs. While many homes were severely damaged by fire during the Civil War, Southern families rebuilt and refurnished these historic properties, including their magnificent gardens. Award-winning photographer Kerri McCaffety presents images of the structures that have been authentically restored to their former grandeur. Each selection of photographs is accompanied by Lee Malone’s brief history of the featured building. 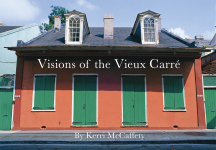 Kerri McCaffety counts among her accolades the 1999 gold Lowell Thomas Award from the Society of American Travel Writers and the 1998 Author of the Year award from the New Orleans Gulf South Booksellers Association. 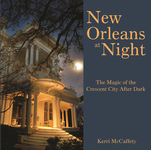 Her books include Obituary Cocktail: The Great Saloons of New Orleans; The Majesty of St. Charles Avenue; Etouffée, Mon Amour: The Great Restaurants of New Orleans; Napoleon House; and St. Joseph Altars, among others, all published by Pelican. 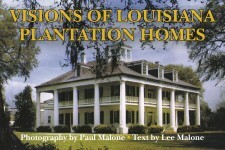 Lee Malone (1916-2008), along with her late husband, the critically acclaimed photographer Paul Malone, collaborated together on several photography books about the Louisiana area. Paul provided the photography while Lee contributed the accompanying background text. Together, they created five masterful books depicting the true beauty behind many of Louisiana’s historic sites. 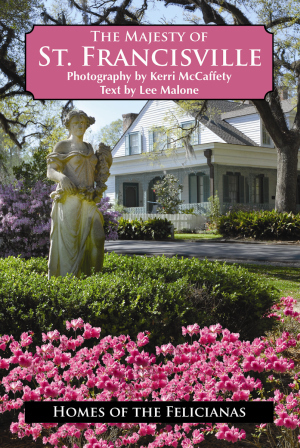 If you are looking for a gift or table book with great pictures and a brief narrative that covers the beautiful homes and areas of St Francisville, then this is a nice compilation. A Return to Splendor: Revised Ed.